Individual investors need to galvanize behind the right type of leaders if they intend to overthrow the current conflicted financial services industry. The Russian Revolution did not happen because 180 million peasants rose up against the Czar. 23,000 Communist party members were able to dismantle the entire system because of their superior organizational skills. This scene was played out in modern times. 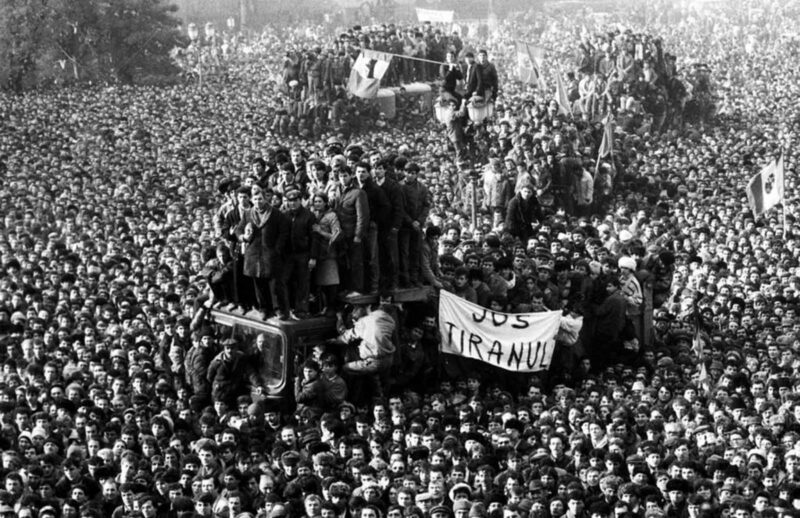 The collapse of Romania’s regime led by the infamous dictator, Nicolae Ceausescu, is a case in point. During one of his horribly boring speeches praising the benefits of Romanian socialism, something unpredictable happened. Someone in the crowd of 85,000 did the unthinkable; he started to boo. This soon turned into a cascade of whistling, jeers, and catcalls. Ceausescu’s power crumbled as the country watched live on TV; he was soon swept from power and executed. You can watch this startling scene here. Unfortunately, Ceausescu was replaced by The National Salvation Front. They were” moderate” communists who had vast organizational abilities. They co-opted the revolution and looted Romania’s national treasures. The peasants were left no better off. What can investors learn from these two revolutions that will help them overthrow an industry that clearly was created with little regard for their best interests? More importantly, how can it be replaced with something better? It does not take many people to change an entrenched system, but it does take organized followers. Social media is a prime breeding ground to seed a rebellion. For example, our CEO, Josh Brown and CIO Barry Ritholtz have over 500,000 combined twitter followers. Their messages of investor empowerment has gone viral through their minions. If you don’t think this works, you have not been paying attention. There are others out there with similar potential to wreak havoc on an outdated system. Old media can also play a big role. The New York Times ran a series about the investment swamp of public school teachers’ 403(b) retirement plans. The two authors, Tara Siegel Bernard and Ron Lieber, caused shock waves to reverberate through an entrenched industry of conflicted insurance salespeople; and the readers became a starting point for financial reform. Jason Zweig of The Wall Street Journal has been galvanizing the resistance for decades. Internal reform through industry leaders can have an amazing effect. Vanguard, a company that manages about $4 trillion of investors’ assets has only 14,000 employees. This number pales to the hundreds of thousands of stock brokers and insurance salespeople. Vanguard does not advertise during the Super Bowl or have celebrity spokespeople. They do have a highly organized network of zealots called Bogleheads that do this work for them. Their simple message of low-cost investing spreads through a tight, but fanatical, group of collaborators. It is not enough to change the system. There has to be a plan for what comes next. Financial services can become a force that benefits investors instead of shaking them down. A small group of people can transform an entire industry if they devote themselves to creating something that will look out for the best interests of the majority. Transparency, simplicity, and education are the tools the few can use to galvanize the many. If you listen closely, the booing is becoming louder and louder each day.